Online Classes. Blogging is an activity that is based on hobby and sharing. So there are various types of bloggers. There are bloggers who are active in building an online store, they will make money by selling products on the internet. On others, there are bloggers who have HTML skills, they are experts in the web so it can make money by doing web design project. But there is also only for hobby bloggers just write and share their experience, they were not adept at creating an online store, or make a web, it is still too early to be able to enter the world adsense. And how the fate of this bloggers type? Is there no hope to be able to live in the world of blogging? Actually I want to start this by mentioning the names of successful bloggers who made their name as a reliable content writer. But my intention undo it, and decided to share my experience. Creating a blog is something absolutely must be done first and if it is to becoming a content writer. It basically then you will only write the content for other people, but you need a blog to introduce yourself. The purpose of making the blog a nice rated Alexa is for people who will use your services will believe and trust that the content you create are good quality. It also proves you are productive and commitment writing on the blog. In this case I recommend to create a blog with a special theme, making it easier to get visitors and a good alexa rank. Expanding network with senior bloggers is one of the most powerful ways to learn blogging. Know as much as possible from their tips, they experienced more have a feel for how to make money through blogging. Usually senior bloggers have a lot of blogs, they have to be updated every day, then it is also a chance to offer content writing services to them. As a blogger who wants to be successful you have to continue to learn from others. How to learn more is to join a group of active bloggers to share tips and tricks. This will increase the ability of your blogging and writing your content. In the group also you can get many offers to write the content. I own a lot of getting an offer from the FB group. When you have reached the Alexa rank of about 2 million, so now you are ready to accept orders from other people. This your good first step to start offering your services! There is someone who complains, he felt he had written quite a lot on the internet but do not also get a written offer. It's because he expects the offer came, but you can looking for. Some people do get an offer content writing is when the blog has been pretty good. But if you do not get an offer to write it then offer your services at all. The first time I get order to write content was only 2 dollars per 300 word article. I will spend one full hour to make this article, and the results are 10 articles. So I can generate 20 per day. Very cheap I guess, but this is a good start, because now you have become a paid writer! As I mentioned earlier, at the beginning of the writing career, you will be paid very cheap. Then try to increase the quantity of your writing, so you can earn more money. Increasing the quantity of writing is also an exercise that will directly improve the quality of your writing. Writing on blog in addition to presenting the information to the reader, but also to bring in readers. One way to bring readers with posts you have made is that if you are writing with SEO standards. Then learn about SEO will be very supportive of your writing career. Lots of bloggers who want high quality SEO content, for only to bring more visitors. Improving the quality of writing will make a valuable services you write. 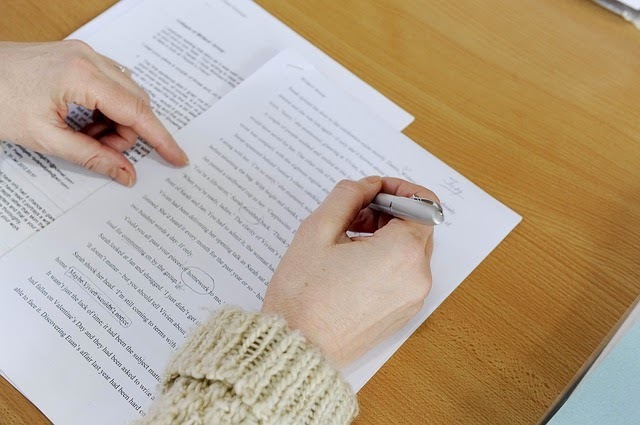 If you are writing may initially valued only 2 dollars, then when the quality is getting better, you can offer your writing services at a price of 20-100 dollars per article. Quite right? This is what I do these days. Hunting race! I know a few people whose writing has reached 200 dollars per article. The price was given because they have often won the writing contest on their blog. So logically, the quality of writing they have been tested so no need to doubt the quality. Do not leave your blog, your writing career started and then abandoned because your blog instead of your busy for other people's content. Personal blog you should continue to be updated every day. This is in order to get a good Alexa Rank eventually prove your quality as a blogger. Similarly, my strategy in making money from writing blog content. This paper distributed to you who like blogging but do not know how to do business and HTML coding, it's only for you who the writers.